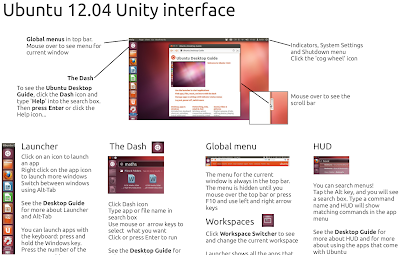 Keith Peter has created a pretty cool poster that explains Unity Desktop to first time Ubuntu 12.04 users. Imagine you have just come back to work one Monday morning. You remember vaguely the IT manager said something about an upgrade over the weekend. 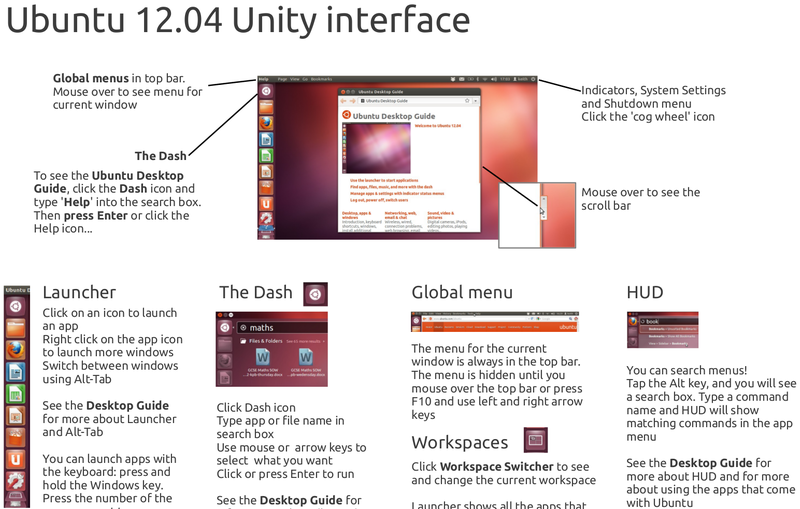 You log in and you see the 12.04 desktop instead of the 10.04 one. Download the poster from here. 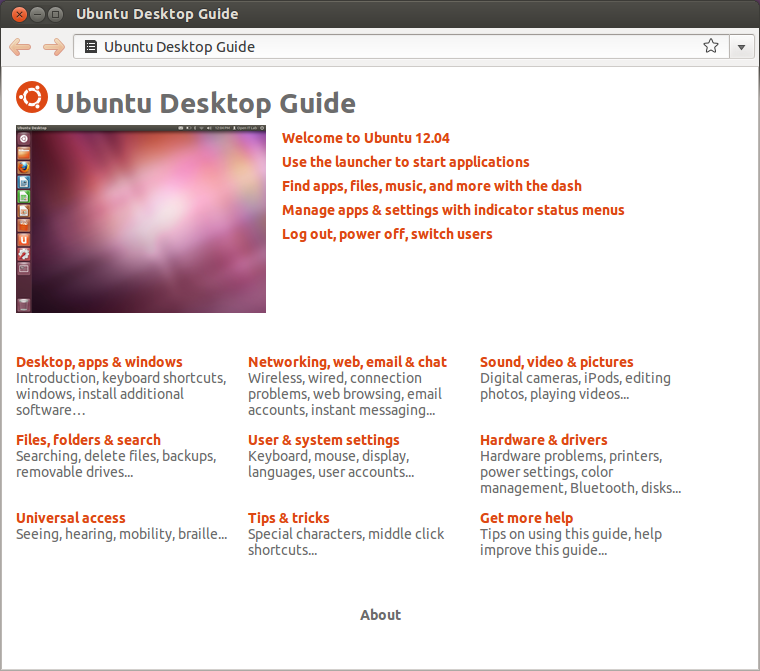 If you think anything is missing post your suggestions on Ubuntu Forums. You may have never used it but Ubuntu comes with an easy to understand Desktop Guide (search 'help' in dash). Should it be pinned to launcher by default?